Why do you need Korean translation services? Korean is the official language of both South Korea and North Korea, with more than 72 million speakers in the Korean peninsula alone. China has 2 million people speaking Korean as their native language, and another 2 million native speakers can be found around the world. South Korea is most developed country in East Asia, according to the Human Development Index and boasts the 11th largest economy in the world. Though South Korea has few natural resources, it has a strong focus on technology and the education system, which has bolstered its economic growth. Some of the top South Korean companies include Samsung, LG, Kia, and Hyundai. 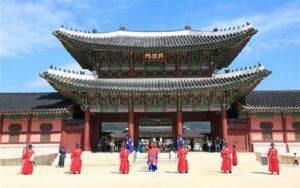 Aside from the booming tech industry, South Korea is also doing quite well in the tourism department, as well as in cultural exports, specifically K-pop, or “Korean pop”. The Korean writing system was first based on the Chinese writing system, using the same characters with different pronunciations. Later a national alphabet was developed, known as Hangul, with 24 characters. Each “block” is made up of between 2 and 5 letters, which sets it apart from the Chinese script. The grammatical structure of Korean is much more similar to Japanese than Chinese. 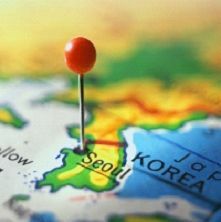 Within South Korea, there are five major dialects spoken. All of them are mutually intelligible, except for the dialect spoken on Jeju Island. The South Korean dialects are spoken with very little stress, giving them a sort of flat tone compared to North Korean. In North Korea, there is one major dialect, which is based off of the dialect spoken in Pyongyang. In additional to different stresses in the spoken language, dialects in North Korea and South Korea differ in pronunciation and spelling. As with any language that has multiple dialects, you must take care to ensure your Korean translations are accurate for the specific market you are targeting. At Alpha Omega Translations we have Korean translators who work exclusively with their native dialect of the language to ensure your translations make sense for the culture and region. Get started with Korean translation services today!